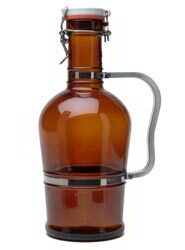 Just occasionally, a guest asks us why the big brown refillable jug is called a “growler.” While we’ve heard a few theories, the most credible comes from the supplier who imports our growler from Germany. 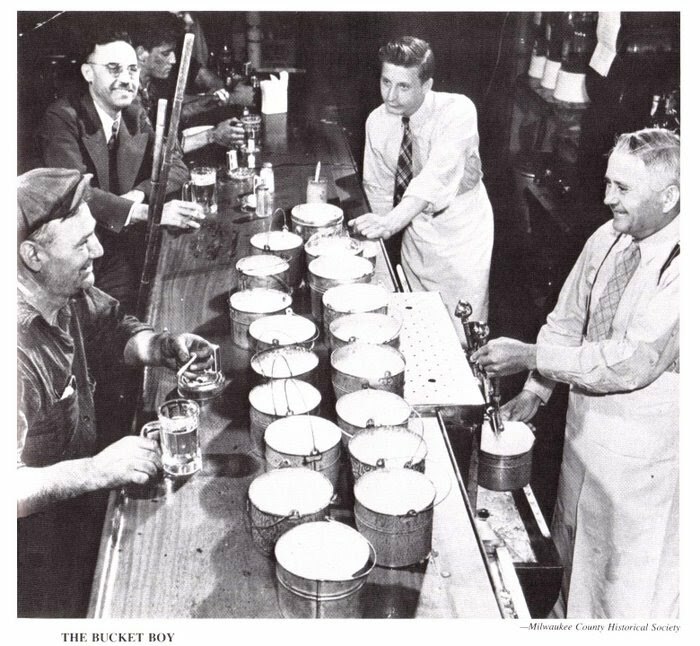 Other stories say that it was the constant conflict between the saloon keeper, selling a less-than-full pail of beer, and the customer, looking for a full pail, which caused the “growling”. 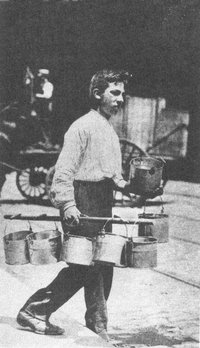 Either way, before Prohibition, the growler trade was an important part of any saloon’s business, and saloon keepers usually sold beer out of the back door, which they dubbed “the family entrance.” This kept the young boys from having to walk through the saloon, and perhaps see something they shouldn’t! You may recognize Fritz Ruhmann as the original “Five Cent Fritz” whose face is on our taster flight tokens. Of course, here at Anaheim Brewery, we don’t fill metal pails with beer, we use a top-quality German glass container. We dispense the beer from our unique, Russian-made filling machine, “Boris,” which flushes any air out of the bottle, replaces it with carbon dioxide, and fills the bottle under pressure. Stop by and pick up your very own “growler,” or come back and get your growler expertly refilled by our Tasting Room Staff! This entry was posted in Anaheim Brewery, History and tagged anaheim brewery, beer, Fritz Ruhmann, Growler, prohibition. Bookmark the permalink. Never knew about the Growler. Just found out about Anaheim Brewery thanks to the good folks at The Tiled Kilt. Gonna have to drop by!